Getting there took many years of hard work, some good insights and a few lucky breaks. A key requirement for success was to manage to track tens of thousands of individual chromatophores in parallel at 60 high-resolution images per second and to track every chromatophore from one image to the next, from one pattern to the next, from one week to the next, as the animal breathed, moved, changed appearance and grew, constantly inserting new chromatophores. 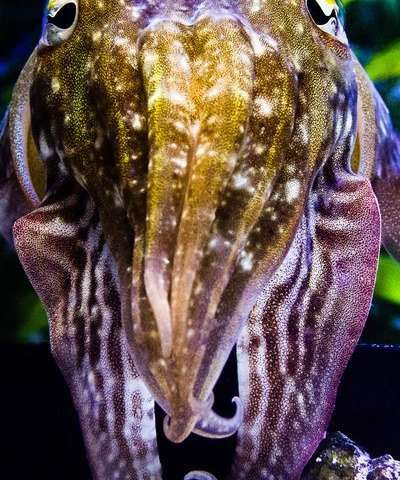 One key insight was "realizing that the physical arrangement of chromatophores on the skin is irregular enough that it is locally unique, thus providing local fingerprints for image stitching" says Matthias Kaschube of FIAS/GU. By iterative and piecewise image comparison, it became possible to warp images such that all the chromatophores were properly aligned and trackable, even when their individual sizes differed —as occurs when skin patterns change— and even when new chromatophores had appeared —as happens from one day to the next as the animal grows.